Getting through some of the hardest times in life is easier if you stay focused on the moment right in front of you. While your head might be spinning with all of the treatment options, the “should haves” and “what ifs,” pause to take a careful look at your dog or cat. Your pet isn’t sitting there feeling sorry for herself. While she might feel poorly because of disease, she’s not mad at you, or longing for the way things were. All she wants is for you to breathe, to smile, to be happy and do something fun together, right here at this very moment. Whether that’s stopping for a long cuddle session or throwing a ball, all that matters is the moment in front of you, because that’s is the only thing that we know we have for sure in this life. The past is history, the future may never come, but today is a gift, that’s why it’s called the Present. This 40 minute keynote address is filled with important tips about coping with amputation recovery, and dealing with a cancer diagnosis. We share the lessons that Tripawds founder Spirit Jerry taught us during our journey together—and we highlight a handful of amazing stories about true Tripawd Heroes. We hope you enjoy it. 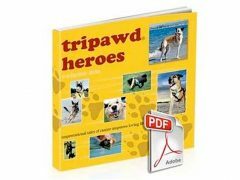 Download the Tripawds e-books for immediate answers to common questions and much more helpful recovery and care tips! Just for listening, please use Coupon Code BEMOREDOG5 for $5 Off! 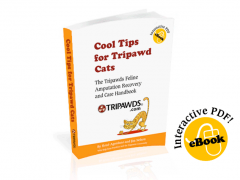 Download Cool Tips for Tripawd Cats for fast answers to common concerns about feline amputation. 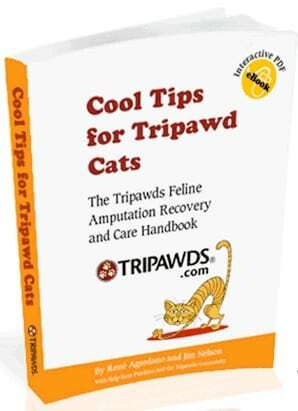 Use Coupon Code BEMORECAT3 for $3 OFF Cool Tips for Tripawd Cats! Get vital information about recovery and rehab, plus plenty of recommendations to help your cat love life on three legs – from the best nutrition to tips for making a Tripawd-friendly litter box, and much more! Betty, please visit our Discussion Forums, the Tripawds Chat or call our helpline (877-TRIPAWD) for fast help from others. We aren’t vets but we can ease your fears about the recovery. It’s still early, so hang in there and join us when you’re able. We’ll be watching for your post. I just listened to your story about Jerry. Thank you so much for sharing and starting Tripawd. I’m new here and it has been a great help! Thank you again. Thanks for tuning in! 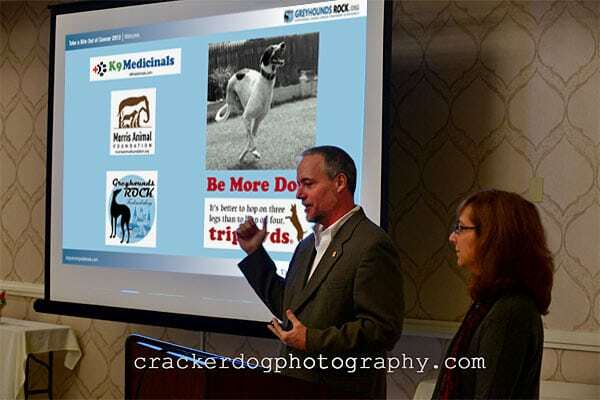 Start here for help finding the many Tripawds Resources and assistance programs. So happy to have found this page!! My GSD, Lady, had her rear left leg removed due to Soft Tissue Sarcoma last month. She got up without assistance right away and followed the tech around all night, the second night after surgery. It has been over three weeks and she has been doing great. Over the past couple of days, though, I have noticed that she doesn’t have as much strength as she did, and get sometimes gets cramps if she turns weird and can’t gain her balance. I currently feed her a ketogenic diet, she gets CBD oilanf tumeric ‘golden paste’. I have started to massage her all over, but she’s really not into too much contact, so i keep the massages short in dueation. Is there anything else I can do? She will be going for chemo soon and funds will be tight, so something that I can do, rather than a professional, that can help with her be comfortable and gain strength. We are so glad Lady is doing well! We encourage you to visit our Forums for fast help from the community. Meanwhile, Lady sounds a lot like our Tripawds Spokesdog Wyatt, as he’s not that into touch either!As foor things you can do…first, did you know that the Tripawds Foundation pays for rehab therapy consultations? It’s true. The cost of your first visit is covered as long as your practitioner is a licensed CCRT or CCRP. Even one visit will make a huge difference as long as you make the practitioner aware that you want to do things at home. You really need to address the reasons why she is becoming weaker before you can help her yourself, and only a professional can help you do that. We hope you’ll consider taking advantage of our program so she can live a happy, pain-free life on 3!